Worship will be a powerful part of the Sunday morning experience at Vanguard. We believe that a church united in worship is pleasing to the Lord and a powerful witness to a watching world. Worship is the adoration and celebration of an awesome God. Because we all have the sinful propensity to make worship about us instead of the Lord Jesus Christ, our worship ministry will be built on the following 10 biblical convictions. Why All The Hype On Easter? 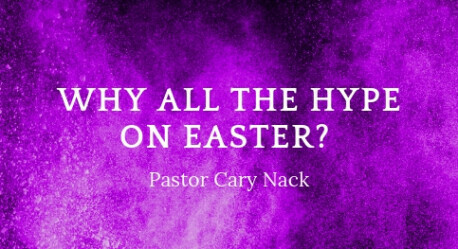 In this special Easter message, Pastor Cary explains why the resurrection of Jesus Christ is worthy of all the hype we can muster.